What are the Deadliest Driving Dangers in a Iowa Car Accident? Are Your Driving Mistakes Deadly? It's easy to make mistakes while driving, however sometimes those mistakes can lead to an accident causing property damage or, even worse, an injury or fatality. Walker, Billingsley & Bair promotes safe driving and wants to help Iowans become better drivers by educating people and letting them know what can be done. Have You Ever Crossed the Center Line or Swerved Towards a Car Because You were Distracted by Something Else? Swerving is the number one fatal mistake made by drivers. In 2007, around 15,574 people died in car accidents simply because of drivers not staying in the proper lane. It’s sad to think that this many deaths could have easily been prevented if people would stay more alert and not let distractions disrupt their driving. You can easily prevent this danger by not letting distractions take your attention away from the road. Drivers should focus not only on the road ahead of them, but also what is going on behind and beside them so they can see and prevent any possible dangers before they happen. What About Driving While You Were Overtired? Research shows that the most common thing people said they have done while driving is being behind the wheel while feeling fatigued. Driving while drowsy is very common. Every year people die due to accidents caused by sleepy drivers. You should always be sure to get plenty of rest before driving for a long distance. This will help prevent you from falling asleep while driving. Another way to avoid this would be to avoid driving between the hours of 3 a.m. and 6 a.m. which is when most accidents caused by sleepy drivers occur. Drinking and driving is another danger that may seem obvious, because it is likely to cause an accident, yet tons of people still do it. 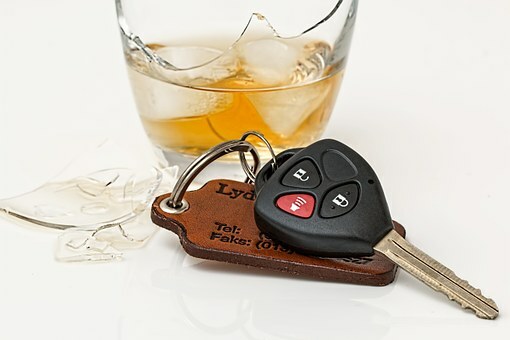 Did you know that every 40 minutes someone dies in a drunken driving accident? A couple ways to avoid drinking and driving would be to arrange for someone sober to pick you up and take you home, stay at the location of the social gathering where you are drinking, or call for a cab or other ride service if that service is available to you. Have You Been in a Hurry and Driven Faster Than You Should? Speeding is a major problem that can lead to deadly crashes. If you are traveling at a high speed and lose control or hit something, the impact is going to be worse and chances of you being able to gain control of your vehicle are not likely. Speeding is the second highest cause of fatal crashes. Did you know that 30% of traffic fatalities occur at 55 mph or more? The only tip we can give you here is to slow down and give yourself plenty of time to reach your destination so you won’t be in a rush and want to speed. We have a FREE book that reveals ∙ 6 Things to Know Before Talking to the Insurance Adjustor ∙ 5 Things to Know Before Signing Forms or Hiring an Attorney ∙ 10 Myths about Car Accidents Why offer a Free Book? Since 1997 Iowa personal injury attorney Corey Walker has represented hundreds of Iowans injured in car accidents. He has seen too many clients make mistakes before they had the “right” information, resulting in them losing thousands of dollars. Iowans injured in car accidents are beginning to realize that the insurance company is not there to help them with the claim and it is a good idea to learn about Iowa's car accident laws. To learn more about how to request your copy go to www.IowaCarAccidentBook.com or Call Now 1-800-707-2552, ext. 710 (Recorded Consumer Awareness Message). For immediate assistance, contact us online or call 515-440-2852 and ask for Corey.